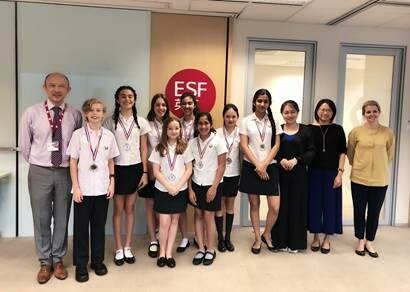 ESF Chinese and English Bilingual Festival 2018 was held on 26 April at ESF Centre. It was yet another successful event that has attracted students from five ESF and non-ESF secondary schools, all of them learning Chinese as the second or an additional language. Competitors have displayed impressive oral language skills with accurate pronunciation and artistic use of intonation and, above all, the confidence in presenting in both English and Chinese with a great deal of enthusiasm. For both story-telling and recital events, students have chosen a range of materials for their performance including poems and folklores, showing their appreciation of Chinese and English literature heritage and interest in cross-culture communication. KGV is the proud winner of Excellence in Bilingualism 2018.